I received an ARC from one of my wonderful blogging friends - Rachel Morgan! I'm very pleased to be sharing my review of "The Faerie Prince" by Rachel Morgan as part of her "The Faerie Prince Blog Tour". She's seriously an incredible writer and I love the world she's created! The writing is flawless and unstoppable. 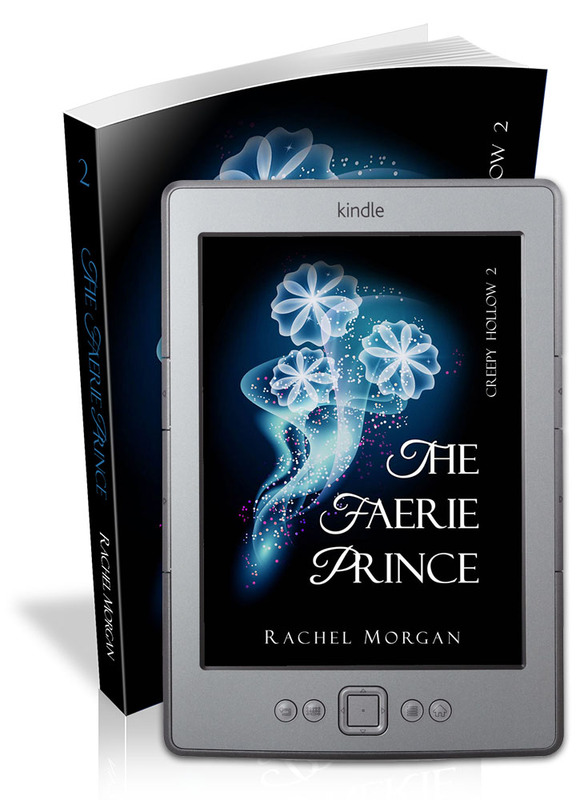 Plot: First, here is the summary of "The Faerie Prince" from Amazon - Guardian trainee Violet Fairdale is just weeks away from one of the most important occasions of her life: graduation. After messing up big time by bringing a human into the fae realm, Vi needs to step up her game and forget about Nate if she hopes to graduate as the top guardian of her year. Everything would be fine if she wasn’t forced to partner with Ryn, her ex-friend, ex-enemy, current ‘sort of friend’. They might be trying to patch up their relationship, but does she really want to spend a week undercover with him for their final assignment? On top of that, the possibly insane Unseelie Prince is still on the loose, free to ‘collect’ as many specially talented faeries as he can find—and Vi is still at the top of his list. Add in faerie queens, enchanted storms, complicated not-just-friends feelings, and a murder within the Guild itself, and graduation is about to become the least of Vi’s problems. After messing up things, Vi attempts to refocus on her impending graduation and being top guardian in her year. When paired with her on-and-off-friend/enemy Ryn, her final task is just begun. Nothing is as it seems. Nothing. Violet's world is rocked by a secret she never dreamed and feelings buried beneath the surface. With the introduction of a new character, the world she loves is about to become darker and smaller. Vi will have to keep her wits about her before everything changes and her life will never be the same. The relationship between... well, I can't even tell you about the romance in this book! It would ruin parts of the story for you and I can't do that.The betrayal in the first book leaves Vi vulnerable and guarded, but she can only protect her heart for a while before she begins to see what is right in front of her. You can find out more about her on her website and purchase her book from the links below! Congratulations Rachel! Woohoo! Thank you for the 5 stars and the really great review! Loved the review. Putting it on my "to read" list. Thanks for the review. Sounds like Rachel has built a compelling world. I am behind in this series. Much catch up!